Probably the best source of global literary news available. It’s the official start of Autumn in the Northern Hemisphere and Spring in the South―the beginning of a new season where minor plans and promises are made that we desperately try to be faithful to. Or maybe not. Maybe it’s just the temperature that changes. 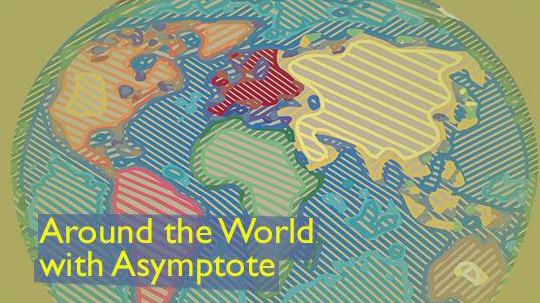 Nonetheless, here at Asymptote we’ll always fulfill our promise of bringing you the latest news from around the globe, just in time for the weekend, with this week’s reports from Argentina, Romania and Moldova, and Taiwan. August in Argentina was a month for reading. Buenos Aires celebrated Jorge Luis Borges’ birthday on August 24 by organizing a walking tour tracing Borges’ most notable haunts. The 24th is also the country’s annual Día del Lector, commemorating the renowned writer. On August 23, the Latin American Art Museum of Buenos Aires (MALBA) hosted a conversation between North American policy analyst David Rieff, and Argentine novelist Luisa Valenzuela on the topic of collective memory. Valenzuela is known for her novels that recall state violence, written during and after Argentina’s brutal last military dictatorship. The topic of historical memory is especially relevant right now as the Argentine public protests the alleged disappearance of indigenous rights activist Santiago Maldonado, who went missing at a protest in Patagonia on August 1.